There’s not much to say about this recipe other than I had an abundance of canned peaches last year, and I love fresh peaches more than almost any other fruit, save watermelon. With spring on the way, I was craving something that wasn’t citrus fruit and felt that I should fulfill that desire for hot weather, long days, iced tea and all the other harbingers of summer with a peach crumble. 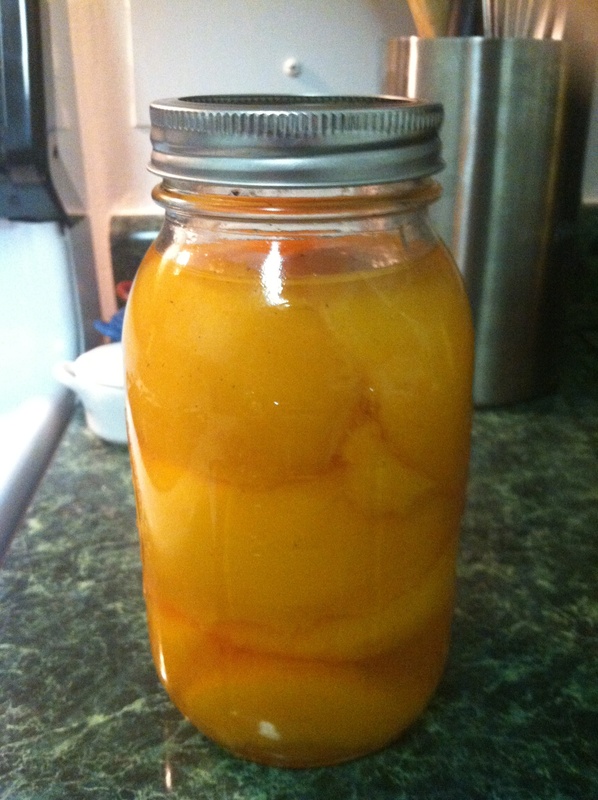 I used my own canned peaches in vanilla syrup for this, but you may substitute fresh (in season), frozen or canned. I also have adamant opinions against a heavy topping-to-fruit ratio in a crumble, preferring the fruit to take front and center, so I made a relatively small amount of crumble for the top. Feel free to adjust to your own adamant opinions if you deem it necessary. Preheat the oven to 350. 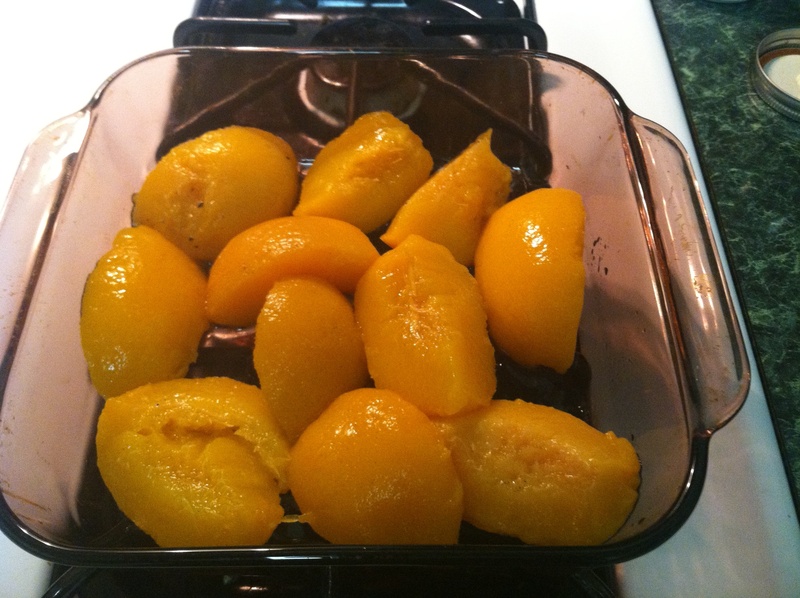 Remove the peaches from the syrup and add them to a 9 inch square baking dish. In a mixing bowl, combine the sugars, cinnamon, allspice, ginger, salt and flours. 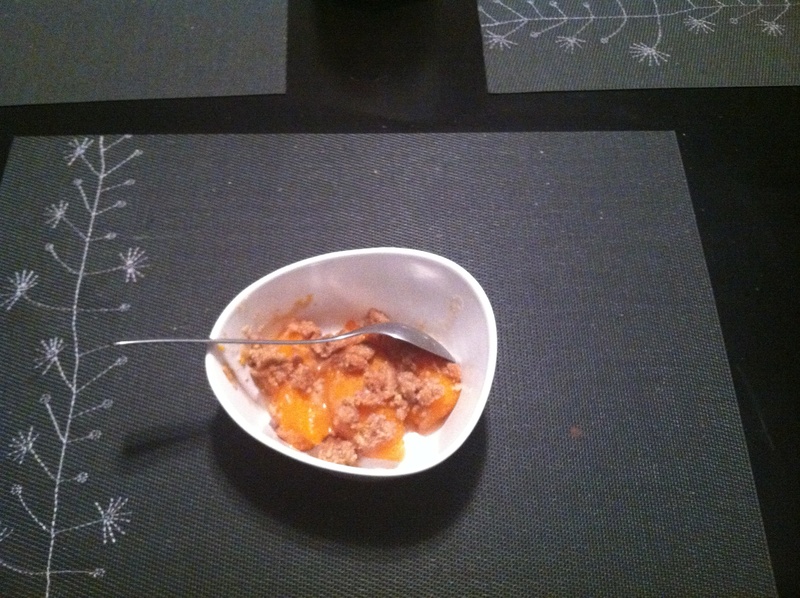 Stir with a fork or whisk to combine the ingredients thoroughly. 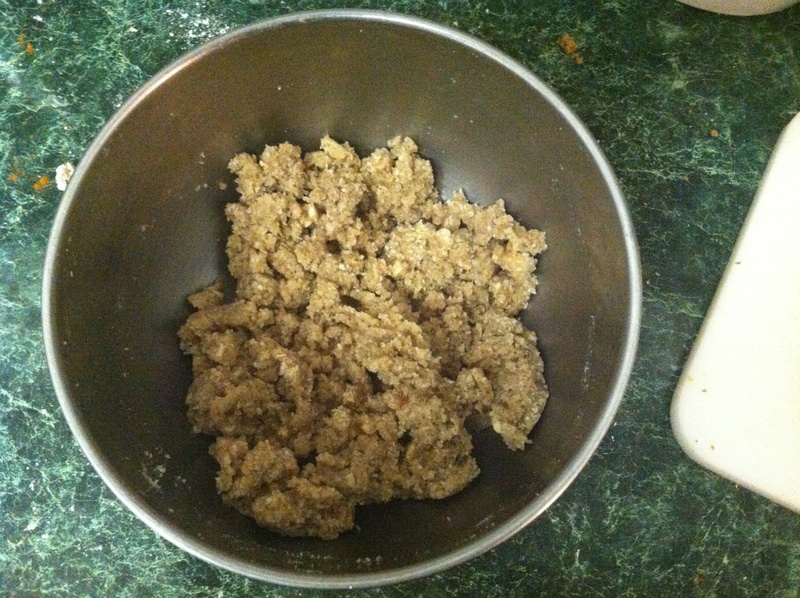 Add the lard and use a pastry cutter or two forks to blend it until it resembles coarse crumbs. 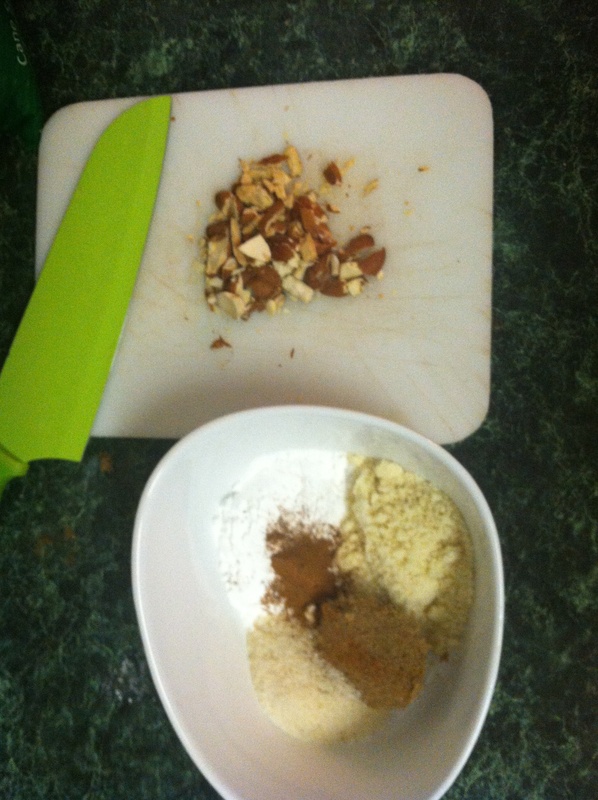 Add the crushed almonds and incorporate them. Sprinkle across the top of the peaches and bake for 20-25 minutes at 350. Remove when the topping is browned and crispy looking and the peace juice bubbles appealingly at the sides of the baking dish. 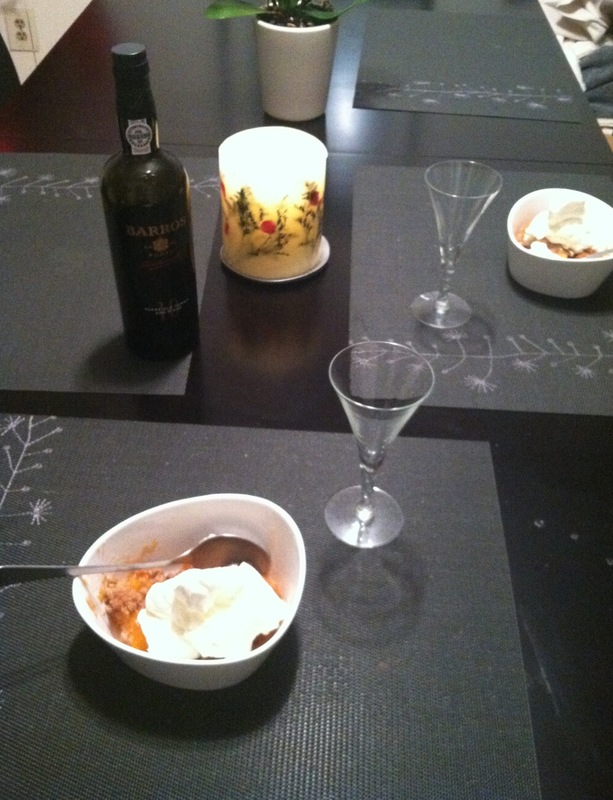 I served this with whipped cream (see picture below), and a tawny port, as I think port pairs exceptionally well with fruit desserts. If you want a creamy topping but can’t handle dairy, whip the solids from a can of coconut milk with some vanilla and honey until stiffened and dense… but, in all honesty, it doesn’t really need a topping, just a spoon. I think this is the best use of “fester” in a food blog, ever. Now you have me craving peach cobbler.